In 1892 a small wooden Catholic church was blessed and dedicated in Springwood. It was located opposite the railway subway on the western end of the village on land presently known as 'Rest Park.' 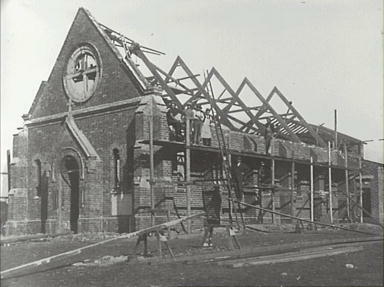 In 1921 it was moved to a site adjacent to St Thomas Aquinas Church where it served as a school building. Archbishop Kelly laid the foundation stone for the new church on 11.5.1919 and blessed and opened the church on 19.10.1919. 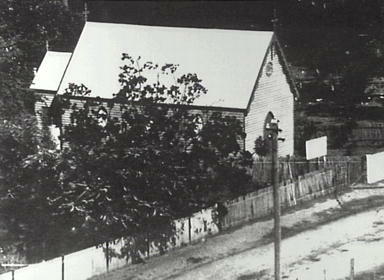 The church, located on Hawkesbury Road, does not function as such and now is part of the Aquinas Court aged units facility. A new church was built in the grounds of St Columba's where the site is shared by St Columba's high school and St Thomas Aquinas public school . * St Thomas Aquinas (1225-1274) was an Italian Dominican Priest, philosopher and theologian who was born in Sicily. * Rest Park was gazetted for Public Recreation Purposes June 1923.